Just because you have purchased an insurance policy with ample bodily injury coverage for your vehicles does not mean that you are adequately protected in the event that you become involved in a car accident. This is because bodily injury coverage pays out only if you cause an accident and injure somebody else. If, however, you are struck and injured by another driver, you would at that point be at the mercy of the at-fault driver’s insurance policy for purposes of paying for your medical bills and lost wages, if need be. And that’s if the at-fault driver even has insurance to begin with. 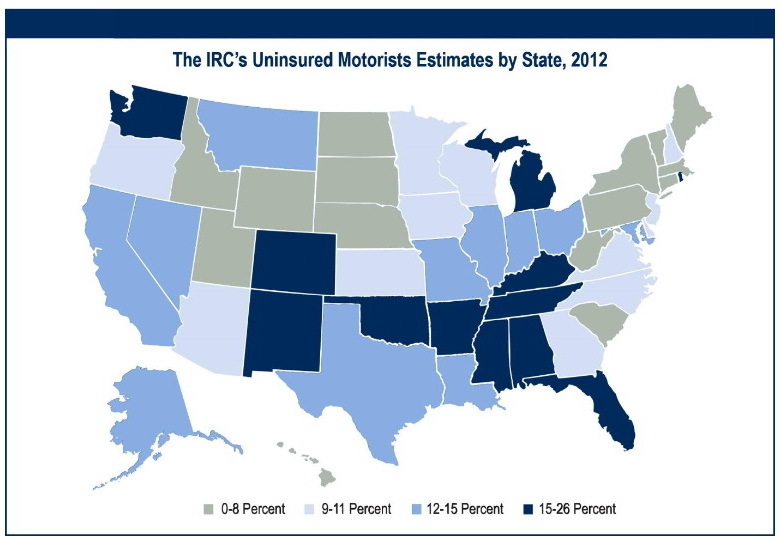 In fact, Florida ranks among the top states in terms of the number of uninsured or under-insured motorists on our roads. Therefore, it is all the more important that drivers purchase uninsured motorist coverage to protect you and your family in the event that you are injured in a car accident. A 2014 study by the Insurance Research Council found the appalling truth: In Florida, 1 out of 4 people (23.8%) involved in a vehicle accident does not have insurance. Only Oklahoma ranks higher with 25.9%. In raw numbers, this means there are 3.2 million vehicles in Florida without insurance. Practically speaking, if you are involved in an accident, there is a 1 out of 4 chance that you will have to rely solely on your own insurance policy in order to repair your car, but most importantly, to treat for your physical injuries – and that does not even begin to address your claim for personal injury, which includes past and future pain and suffering. Uninsured motorist coverage (UM) will pay for damages when you are injured in a motor vehicle accident caused by another person who does not have insurance or who does not have sufficient liability insurance. Things like medical expenses, future medical expenses, lost wages, and pain and suffering will be covered by your uninsured motorist coverage. In addition, this coverage also travels with you, meaning it becomes available even if you are injured while traveling in a vehicle other than your own. Far too often we come across situations in our law firm where individuals are badly injured in car accidents caused by others with insufficient or, worse, no insurance coverage at all. The $10,000 available to all insured drivers via their own Personal Injury Protection (PIP) benefits is almost always insufficient when dealing with costly medical expenses and lost wages. It is therefore imperative that all Florida drivers carry sufficient uninsured motorist coverage to make sure that they are fully protected in the unfortunate event of car accident. It can happen to anyone. Make sure you are fully protected. Tagged: "Car Insurance", "Personal Injury Protection", "PIP Coverage", "UIM Coverage", "UM Coverage", "Underinsured Motorist" and "Uninsured Motorist"